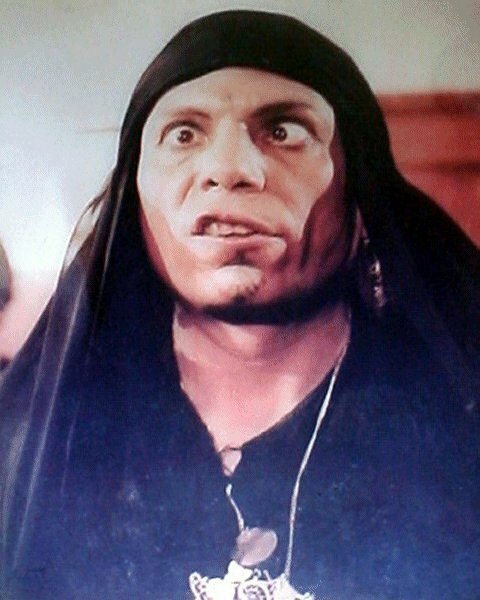 A Cairo court upholds a three-month jail sentence and a fine against veteran comedian Adel Imam for defaming Islam in several roles he played on stage and screen. CAIRO (AP) — An Egyptian court on Tuesday upheld a conviction against one of the Arab world’s most famous comedians, sentencing him to jail for offending Islam in some of his most popular films. TUNIS | Two young Tunisians have been sentenced to seven years in prison for posting cartoons of the prophet Mohammad on Facebook, in a case that has fueled allegations the country’s new Islamist leaders are gagging free speech. The two men had posted depictions of the prophet naked on the social networking site, the justice ministry said, inflaming sensitivities in a country where Muslim values have taken on a bigger role since a revolution last year. “They were sentenced … to seven years in prison for violation of morality, and disturbing public order,” said Chokri Nefti, a justice ministry spokesman. One of the two, Jabeur Mejri is in jail while the second, Ghazi Beji, is still being sought by police and was sentenced in absentia. 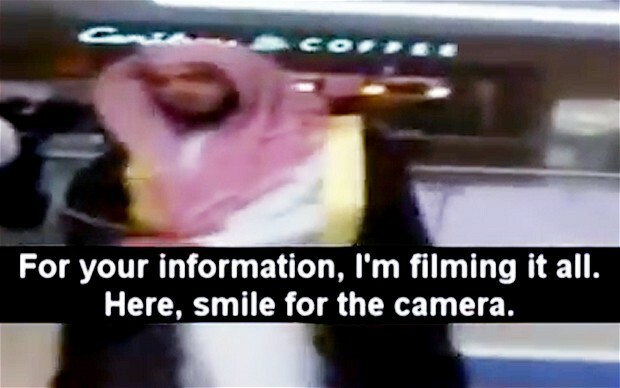 The sentence was handed down on March 28 but was not reported until Thursday, when bloggers started posting information about the case on the Internet. “The sentences are very heavy and severe, even if these young people were at fault,” one Tunisian blogger, Nebil Zagdoud, told Reuters. Tunisia electrified the Arab world in January last year when protests forced its autocratic president, Zine al-Abidine Ben Ali, to flee the country. In their first democratic election, Tunisians elected a government led by moderate Islamists. The revolution also brought tension between conservative Muslims who believe their faith should have a bigger role in public life, and secularists who say freedom of expression and women’s’ rights are now under attack. The government says it has a duty to defend standards of public decency but its secularist opponents accuse it of using the justice system to crack down on anyone who does not fall into line with religious orthodoxy. The head of a private television station, Nessma, is awaiting trial on blasphemy charges after his channel broadcast “Persepolis,” an award-winning animated film that includes a depiction of Allah. In February, Nassredine Ben Saida, the publisher of a tabloid newspaper, was jailed for eight days and fined after he printed a picture of a German-Tunisian footballer and his naked girlfriend on the front page. 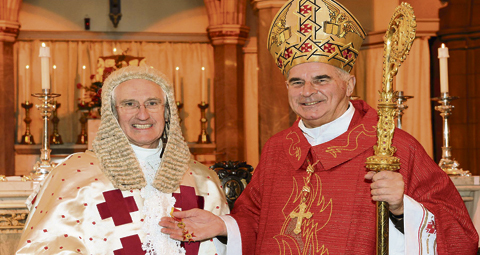 Sunday’s Mass was an extra special occasion for Lord Gill (left), the Lord Justice Clerk of Scotland, when Cardinal O’Brien (right), representing Pope Benedict XVI, bestowed upon him the Papal Knighthood. “It is an honour and a privilege to receive a knighthood from this great Pope,” Lord Gill said. Cardinal Keith O’Brien was the main concelebrant at the annual Red Mass at St Mary’s Cathedral, Edinburgh, on Sunday, marking the opening of the new legal year in Scotland. Sunday’s Mass was an extra special occasion for Lord Gill, the Lord Justice Clerk of Scotland, when his outstanding service to public life in the country was recognised. Cardinal O’Brien, representing Pope Benedict XVI, bestowed upon him the Papal Knighthood. Joining the cardinal and Lord Gill at Sunday’s Mass, were various members of the legal profession in Scotland and their families, including Lord Gill’s fellow judges, Lord Hardie, Lord Drummond Young, Lord Matthews and Lord Doherty. Also present were Frank Mulholland QC, the Lord Advocate, Richard Keen QC, Dean of the Faculty of Advocates, and Austin Lafferty, vice president of the Law Society of Scotland. In his homily at Sunday’s Mass, Cardinal O’Brien urged Catholic lawyers in Scotland to remain strong and true to their religious beliefs. The cardinal said that, in so doing, he was ‘echoing the words’ of Pope Benedict XVI during his address at Westminster Hall during his visit to the UK last September. “The Pope called upon the lay Faithful, ‘within their respective spheres of influence,’ to seek ways of promoting and encouraging dialogue between Faith and reason at every level of national life,” the cardinal said, while encouraging those present to consider the message of the day’s readings and take confidence from the Word of God. 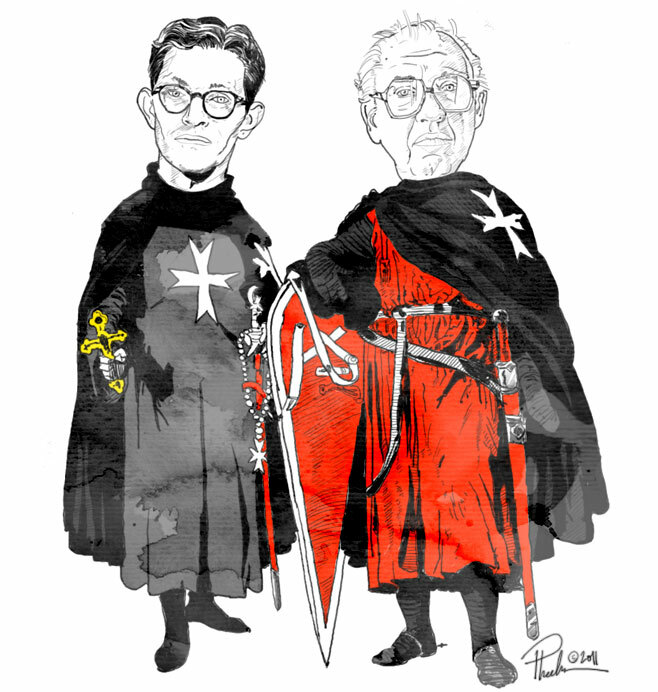 Prior to bestowing upon Lord Gill—who was attending his 44th consecutive Red Mass—the Papal Knighthood, the cardinal spoke about Lord Gill’s life and some of his many achievements. Following on primary and secondary schooling at St Thomas’ Primary School and St Aloysius’ College, Glasgow, Lord Gill attended Glasgow University, gaining the degrees of MA and LLB before being called to the Scottish Bar as an Advocate in 1967. From 1964 to 1977 he lectured in the Faculty of Law at the University of Edinburgh. Lord Gill went on to become an Advocate Depute; then, as an Advocate. He was also appointed as Standing Junior Counsel to the Foreign and Commonwealth Office, the Home Office and the Scottish Education Department; and in 1981, he was appointed a Queen’s Counsel. Appointed a judge in 1994—at that time the only serving Catholic judge in Scotland—Lord Gill went on to become chairman of the Scottish Law Commission, a post he held until 2001 when he was appointed Lord Justice Clerk. “Lord Gill is at present Scotland’s longest serving judge—undertaking a review of the Scottish Civil Courts on behalf of the Scottish Government and fulfilling various other roles on behalf of the UK and Scottish Governments,” the cardinal said. “He has enjoyed the support of his wife, Kate, and family, having been married for 42 years and having five sons and one daughter along with 14 grandchildren. He is a loyal and active parishioner in St Columba’s Parish, Edinburgh and at national level has assisted the Bishops of Scotland. “It is then I am sure you will agree, entirely appropriate that the Holy Father has seen fit to recognise Lord Gill’s exceptional contribution to public life in Scotland and to graciously bestow on him the honour of a Knighthood of the Order of St Gregory the Great. 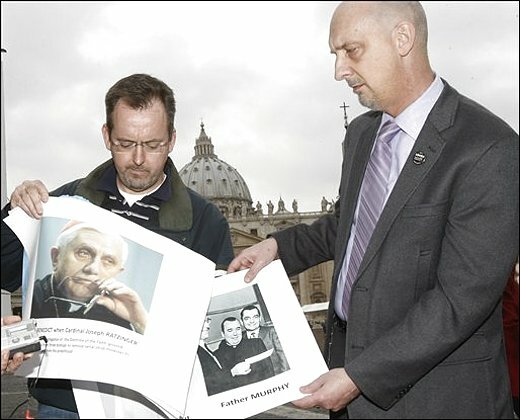 ROME — Four American victims of clergy sexual abuse say they were detained and questioned by Italian police in Rome after showing photos of the pope during a news conference outside St. Peter’s Square. Barbara Blaine, one of the victims, said Thursday after emerging from a police station near the Vatican that officers told them a judge will decide if they will be charged. She says they were detained because they didn’t have a permit for the outdoor news conference. According to church documents, the Vatican ordered a stop to a church trial of a priest who abused 200 deaf children in Wisconsin. IRAN’S moral police have arrested a dozen couples for engaging in illicit sexual acts, including swapping partners, the conservative Jomhuri Eslami reported on Monday. The paper gave no further details about their identities or when or where they were arrested. Reports of partner-swapping are a rarity in conservative Iran, but in March the elite Revolutionary Guards said it had launched a crackdown on several groups who had set up anti-Islamic and pornographic internet sites. The Guards, set up to defend the ideals of the Islamic republic, said they had “dismantled several networks that had set up anti-religious, anti-revolution and obscene internet sites”. Among those also targeted are people deemed to be Satan worshippers, while moral police often also carry out raids on concerts and parties as part of their tough crackdown on “un-Islamic” attire and behaviour.